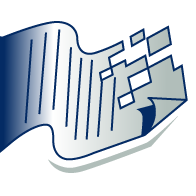 Document Management Waukegan: Why Outsource Document Storage? As a business owner or manager, you know how important it is to spend every dollar wisely. 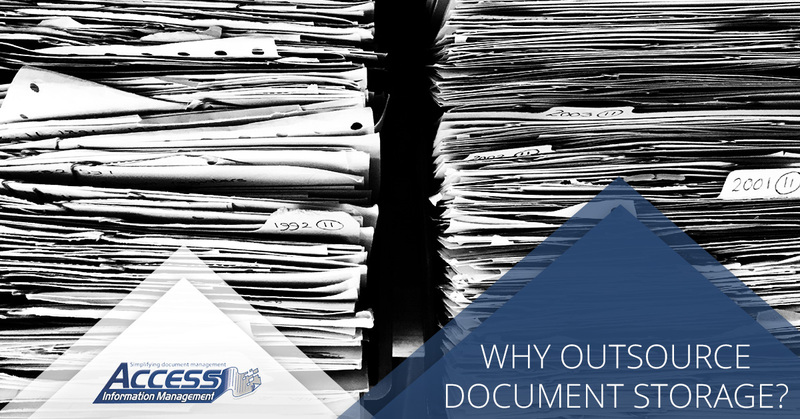 So why would you want to outsource your document storage when you are already storing your documents at your own facility? Believe it or not, it’s well worth the cost to outsource your document storage, and today, we’ll tell you why. #1. It gives you a reason to prioritize your documents. When was the last time you went through your files to determine what’s really important? When you’ve had the same store solution for years, there’s really no reason to go through all of it. But when you outsource your document storage, it gives you the perfect opportunity to prioritize your information to determine what you need to keep close by and what can go off-site. #2. It provides you with increased security. What would happen to your documents if your building were to catch on fire or succumb to any other unavoidable disaster? What would happen if someone broke into your building and stole your documents? Luckily, outsourcing your storage can help you be prepared for the worst. At Access Information Management, we have an incredible storage facility equipped with state-of-the-art security, 24-hour surveillance, an advanced fire suppression system and so much more. #3. It provides you with the access you need. Many business owners have reservations about outsourcing their document storage because they are worried that they won’t be able to access their information when they need it. But the good news is that’s not the case. With the right document storage company, you’ll enjoy the benefits without losing the access you need. When you turn to us, you’ll have rush-delivery, same-day or next-day access, depending on your needs. And we’ll provide them for you via fax, email or in-person delivery. Our goal is to function as an extension of your business, and we’ll provide you with the information you need in whatever format you need it in. #4. 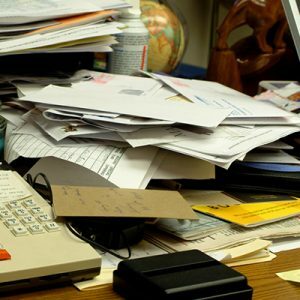 It decreases clutter and increases usable space. It takes a great deal of space to store your documents on-site. That space could be used for a plethora of other things, and choosing to outsource your storage can free it up for virtually anything. Outsourcing your document storage will also help to reduces needless clutter in your business, which also helps to improve efficiency. #5. It helps you stay in compliance with federal laws. Federal laws require that all businesses have protections in place for their patients’, clients’ and customers’ information. Choosing to outsource to a reputable document storage company, like Access Information Management, can help you to stay in compliance with those laws. In addition to federally-compliant document storage, we can also provide you with guidance on how to create document retention policies that meet federal requirements. Outsourcing your document storage is beneficial in so many different ways, and in our next blog, we’ll be going over the next five, so be sure to stay tuned. In the meantime, you can start experiencing all of the benefits for yourself by turning to the experts at Access Information Management. We are a full-service document management company, so in addition to document storage, we offer document conversion, shredding, imaging, cloud backup and more. We also work with a variety of different industries, from accounting firms to doctors’ offices, to non-profits. Regardless of whether you want to take advantage of one or two or our services, or all of them, you’ll love working with our team of professionals. Contact us today to get your free document management estimate.